Ladybird Lake was calm on this cool evening in November. 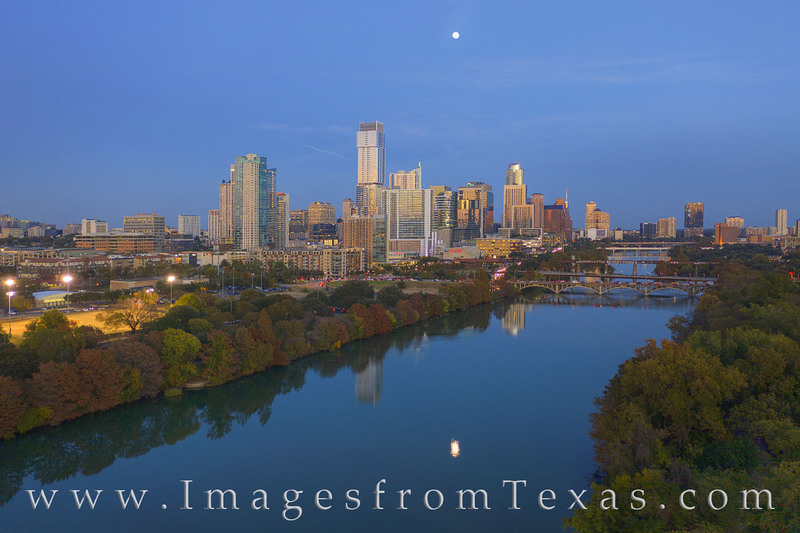 The highrises of downtown Austins shimmered in the Autumn air, and a reflection of the rising full moon shined in the still water. This photograph was taken with a drone by an FAA Part 107 Certified pilot (me). Photo © copyright by Rob Greebon.